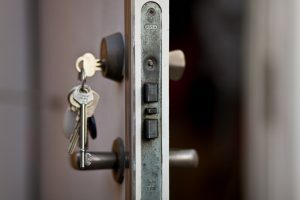 Do I Need A Locksmith To Help Secure My Front Door? Advice. To have a specialist at hand when it comes to door security is great advice. We have seen many situations where high security locks have been installed on weak frames or unsuitable doors. Causing a severe deficiency in security. And at times even larger issues for the home owner. As they end up locked out when the mechanism gets stuck. A door locksmith specialist for your installation, especially if the door and frame isn’t in pristine condition is well worth your investment. You don’t need to hire a door lock specialist for your installation. But it’s highly recommended. After all. With a professional installation it’s just a one off cost. One that is there to protect you from harm, theft and to keep your belonging safe. Our crew have met many victims of home intrusion. And it’s not a pretty picture. Many even say that their homes feel different after they know someone without permission has been inside. Has managed to get inside. To keep yourself safe, find a local and affordable door locksmith specialist for your installation. If you are local to our service, feel free to get in touch at any time. We are happy to discuss and advise you on your door security. We are happy to provide support, supply what you need and install it. And of course we are happy to be there, along the way. From start to finish to ensure that your door locksmith installation reaches perfection. Who is qualified to help with my lock replacement? Making sure that your choice of service provider is one which the right qualification and the right merits. Is a bit of a trial and error story. Traditional and local services bares many benefits compared to a national service. Which is less personal and more concerned about quick profit. A caring and close by locksmith can be found with us. You can ring us for any lock replacement help or any other security need that you have. Low prices and great service is guaranteed. Of course we sing the praises of local services, due to being in the field. However, with customer satisfaction shown superior to personal service. Provided by trusted providers in the area, is high. Lock replacement help can also be found online. There are countless of key and lock blogs and information banks online which provide you with all the information you need to make a good choice for your need. 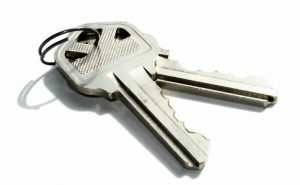 Professional installation work is always recommended if you are having lock replacement work done. This to validate the security the products states, as well as to keep you in line with any insurance policies with security requirements. Which is the vast majority of them. Calling on qualified help with your lock replacement is also easier than to spend all that time doing the research yourself. Traditional services take into account both your security needs and your budget. All whist providing high security lock replacements for all your doors. For easy lock care and good security. Discuss your needs with our lovely advisers today. By calling when you have a few moments spare. We supply, install and ensure that you are satisfied. With every job, no matter the size.